Thanks to a drop in the Comprehensive Ranking System scores required in the latest Express Entry draw on Feb 22, 2017, another 3,611 candidates can migrate to Canada along with their accompanying family members. In the latest Express Entry draw held on February 22, 2017, another 3,611 candidates for immigration to Canada and their accompanying family members are well on their way to Canada. The number of Comprehensive Ranking System (CRS) points required by candidates to receive an Invitation to Apply (ITA) continues to decrease. In this draw, candidates with 441 or more CRS points received an ITA. The low CRS points requirement means that it is now possible for a candidate educated up to Bachelor's Degree level only, who has no Canadian work or study experience, or additional points for a provincial nomination or a job offer, to obtain an ITA and apply for Canadian permanent residence status. Candidates who receive an ITA are now in a position to submit an application for Canadian permanent residence to Immigration, Refugees, and Citizenship Canada (IRCC). 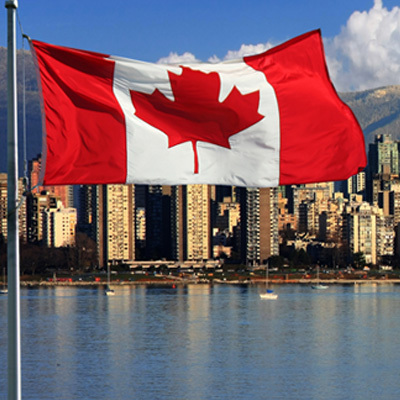 Accompanying family members, common-law partners, as well as dependent children, may also come to Canada along with the principle applicant. Individuals who want to apply for Canadian permanent residence through the Federal Skilled Worker Class (FSWC), Federal Skilled Trades Class (FTSC), or Canadian Experience Class (CEC), are first required to enter the Express Entry pool. Once they have entered the pool, candidates are assigned a CRS score based on factors including civil status information, education, work experience, language and other criteria. Candidates are ranked in the pool according to their CRS score, and the IRCC regularly conducts draws to invite the highest ranking candidates to submit an application.